In addition to the Core Knowledge sequence supplemented by Frontline Phonics, our Language Arts Curriculum comes from the Houghton Mifflin Company. 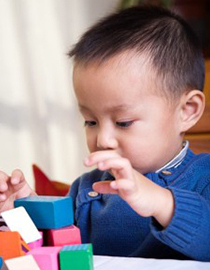 The monthly themed curriculum is carefully authored by leading experts in the field of early childhood education, including phonics program reinforcing beginning sounds, blending sight words, and short and long vowel sounds. Parent participation at home is very important to reinforce the learning at school relating to this curriculum. We also use the A BEKA Christian Curriculum encompassing Language Arts, Handwriting, and Bible Stories.